Subscribe to our free daily cartoons by email! This cartoon series was created to practically help adults understand the gospel from a little child's perspective. Since Jesus said that His Kingdom belonged to little children,we think it would be wise to ask God to help us receive His Kingdom like little kids do (Luke 18:15-17). So we invite you to come alongside us on this journey to rediscover our Abba's Kingdom through childlike wonder. Feel free to share these cartoons with your friends, on your website or through social media. If you subscribe to our free daily emails, you will receive an Abba's Kids cartoon emailed to you every day. 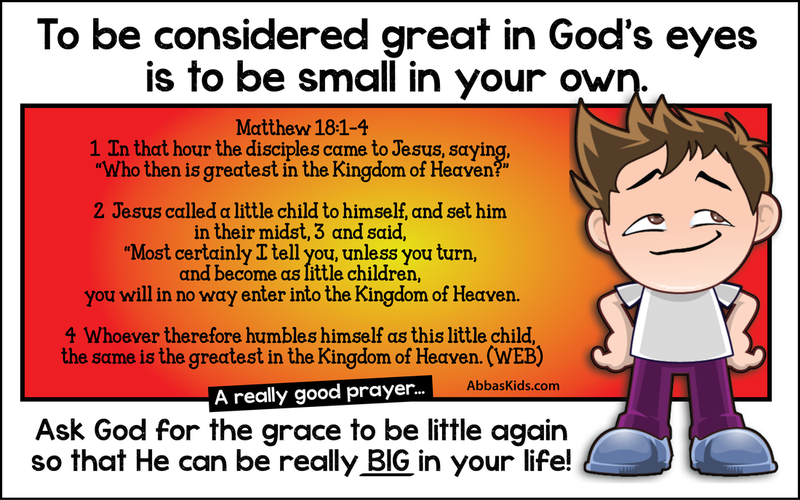 These simple yet profound cartoons are meant to help grown ups see God's Kingdom through the lens of childlike wonder. This is a free subscription and can be cancelled at any time. You will receive a confirmation email that you will need to confirm before your subscription begins. We protect the privacy of our subscribers and do not share our list with anyone else.